As the end of the year approaches, I decided to look forward instead of back and rather than write a review of the year just gone, I wrote a Christmas wish-list for Irish theatre in 2014. If you would like to read a review of theatre in 2013, I recommend Patrick Lonergan’s Irish Theatre Highlights 2013. In the meantime, here’s my wish list. 1. More plays by female writers, on the big stages and small. I feel like I’m always banging on about this but it is important! It’s been a pretty good year for female playwrights. 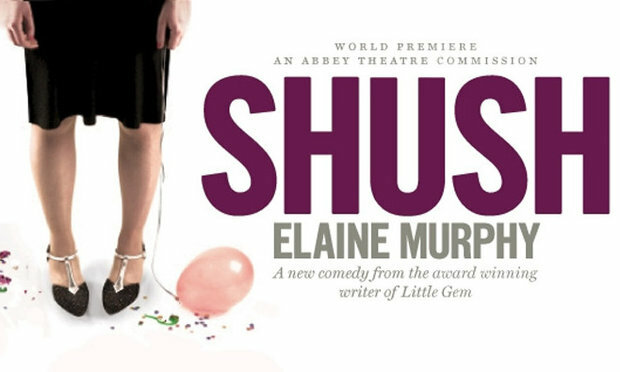 Elaine Murphy became the third woman since the 1930s to have a play on the Abbey main stage when Shush opened earlier this year, while Deirdre Kinahan has enjoyed great success at the Edinburgh Fringe Festival. At the same time it’s worth remembering that women make up 51% of the population (in the theatre community I think they are more in the majority), but we don’t see their stories onstage and I think that’s wrong. It’s an embarrassing wrong that should be corrected. One way to do that it to programme more plays by women because this will encourage more women to write plays. Role models are important. When Roger Bannister ran the first four-minute mile in 1954 it was a significant achievement. However, his record lasted less than 2 months because suddenly people knew it was possible and set out to break the record. 2. 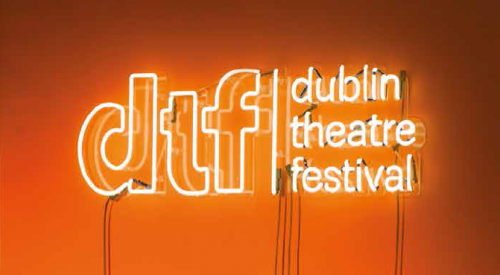 I’d also like to see more plays by non-Irish writers on our stages. Irish theatre does run the risk of being too inward looking. Let’s expand our repertoire with Irish interpretations of great international plays. Patrick Lonergan made a lot of good points when he wrote about British drama and how we don’t see those plays produced in Ireland during the summer. Let’s see an Irish production of a Lucy Prebble play (Enron) or a Laura Wade play (Colder Than Here, Other Hands, Breathing Corpses), or a Polly Stenham play (That Face, Tusk Tusk). Let us see more great plays by non-Irish writers. I would also love to see some Anthony Neilson, Jez Butterworth and Dennis Kelly plays on Irish stages. 3. More money for the arts. A wish-list doesn’t have to be realistic, and it would be wonderful if there was an increase to Arts Council funding next year but I would settle for no more cuts to funding in 2014. The arts allocation in Budget 2014 was 7% less than the previous year. (Source: Theatre Forum newsletter.) As the cuts keep happening year after year, those who are still struggling on have become “the lucky ones” as so many companies have already gone to the wall. More cuts next year, mean more companies, venues and organisation will be forced to shut up shop and that lose of experience and talent could take years to build back up again. 4. In a related point, I’d like to see more plays with big casts in 2014. Lack of money and more profit-share productions means that small casts make sense, often with only one or two actors. This sort of restriction can and has lead to wonderful bursts of creativity and fantastic performances. I have seen some wonderful one-man shows this year – Man of Valour, Solpadeine is my Boyfriend, Howie the Rookie, Pondling, and the granddaddy of them all Silent – but it was also nice to see a stage filled with actors in the Abbey’s productions of King Lear and Drumbelly or the Gate’s Threepenny Opera. Rough Magic had a big cast in The Critic by enlisting the students from the Gaiety School of Acting and Trinity’s Players and I’m looking forward to seeing their production of The Rise and Fall of The City of Mahagonny. 5. My final wish is for more hopeful and inspirational plays in 2014. This is a bit like putting “a surprise” at the end of your Santa-list. I’m not really sure what I want, I just feel that recently Irish plays have tended to be a bit bleak and miserable. The Hanging Gardens at the Abbey almost ended on a hopeful note and then turned darker and sadder in the last few moments. Fishamble’s Guratanteed! was a fantastic piece of theatre with wonderful performances but the factual story was so hopelessly depressing that I felt reluctant to applaud them at the end. Really what I want is a more hopeful country – I want us to look forward and upwards and I’m hoping if we can manage it on the stage, maybe we can manage it in life in general. Wishing you and yours a very happy New Year. And if you have any wishes for 2014, feel free to share them below. Eternal Rising of the Sun was another one-woman show. There were a lot of them in this year’s Fringe Festival and that’s no bad thing, especially when they are as good as this. It’s a slightly harrowing tale of Gina, a woman who has been used and abused by most, if not all, of the men in her life. But she’s not giving up. She’s taking dance classes, just for herself, just because she loves to dance. It’s an uplifting show in it’s own quiet way. 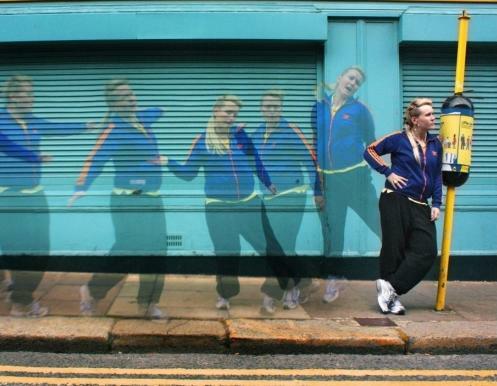 The show is written and performed by Amy Convoy and follows the success of her first play I ♥ ALICE ♥ I which won the Fishamble New Writing Award in last year’s Fringe Festival and got another run in this year’s Dublin Theatre Festival. It’s a great script, slowly revealing more about Gina as the story goes on. This is exactly how you can imagine you would get to know the character. Amy also gives a wonderful performance. She plays Gina with a sort of contained energy, like there is a whole lot going on inside that we are only getting a glimpse of. I hope Amy Conroy keeps making wonderful, moving shows like this one! 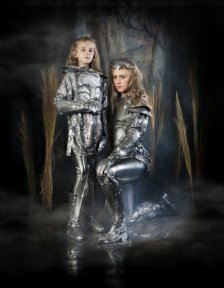 Absolut Fringe 2011: Where Do I Start? Where Do I Start? was a lunchtime show about idenitiy and finding your place in the world. It was a one-woman show and the performer (Nyree Yergainharsian) introduced the show as if it was a seminar or group workshop about figuring out who you are. This clever opening gave context to the piece, acknowledged the audience and encouraged them to ask the same questions Nyree was asking about her own life. It also gave her an opportunity to give us a sense of why she had made this personal piece of theatre. Nyree tells her story of growing up as an Irish-Armenian and the life she has lived up to this point. What makes this personal story so interesting and engaging for the audience is the simple, entertaining way she tells it. There is a lot of subtle humour and a sense of vulnerability from the performer. I saw an earlier verison of this show as part of The Theatre Machine Turns You On last February and enjoyed it very much. This verison had more of a clearer shape to it and Nyree also used more physical movement to tell her story. There is a lovely section about how my mum and dad met for the first time that is told almost like a children’s fairytale, with larger than life characters and physical impersonations. Stories from before we are born often seems like family myths, especially when you hear them all the time when you’re growing up. It was a very pleasant way to spend the hour and Nyree was a charming and entertaining host. As you are now so once were we opened in the Peacock this week. This was one of my favourite shows of the Fringe Festival and I’m looking forward to seeing it again. It’s funny and clever and made me smile; I can’t recommend it highly enough! It’s on until the 5th February. The following week Connected opens in the Project. This is another show from last year’s Fringe, but one I didn’t manage to see. It was a Show in the Bag show and was nominated for Bewley’s Little Gem Award during the Fringe. Bewley’s Café Theatre relaunched their website this week and it’s worth a look. ‘Life’ – a one woman show, on this Saturday evening looks interesting. Also coming up in February is The Theatre Machine Turns You On – Volume II at the Project, February 15 – 19. I completely missed this mini-festival last year, so I’m looking forward to seeing a few shows this time around. The Project also has a Real Deal where you can get tickets to four shows for €22 – great value! Two weeks after seeing the show, I finally get the name right! I’ve just been calling it the play by The Company . As I said before, I really enjoyed it. It made me smile and I left the theatre feeling very joyful. I loved the set – loads and loads of cardboard boxes stacked up on top of each other, used to represent everything from fast food chains to tall buildings, chairs or bank machines. (Photos available here.) It was a fluid, ever-changing set – in more ways than one as the cast argued about what a particular box actually was. That tongue-twister of a title comes from Ulysses and the show was based on Joyce’s book. Not so much on the story (not that Ulysses really has a story) but more on the essence of the book, which meant it was about Dublin and a day in a life in Dublin. Or in this case, a day in the lives because the show also used Ulysses ever shifting narrator, but here the narrators disagreed with each others and events were re-told from a difference perspective as the narrative control was passed from actor to actor. Like Joyce’s book it was very much grounded in time and place. It was set in Dublin in September 2010, name checking people and places that exist here and now. And like Joyce’s book, it made me notice things about Dublin that I hadn’t seen before. It was also a very funny show which is properly why I came out smiling. I really hope it gets another run at the Project because I would really like to see it again! I saw Camille in the Fringe Factory on the Friday night and enjoyed her show as much as ever. I did sort of miss the Spiegeltent but this was smaller, more intimate venue. I managed to get a seat up front, close to the stage – I’m not sure how it was further back because the stage seemed quite low and the room was long and narrow. Camille O’Sullivan is a tiny, little thing. She came onstage with about six layers of outfits on and she was still a tiny, little thing. These layers were gradually discarded (the Chameleon part of the title? ), so there were lots of different costumes and characters throughout the evening! Last Thursday I was Greatest Hits in the Project. The programme described it as “Operatic Electric sound theatre” which is accurate but for some reason I was expecting more story. Possible there were stories in the songs that I missed because the vocals were often drowned out by all the other instruments. This might have been an opening night glitch. Probably for a lot of people it wouldn’t be a problem at all but my brain likes stories! The songs were interesting to listen to and it was a strong visual piece as well, with a wide variety of instruments and other sound making devices. I mostly saw this because it was on on Saturday lunchtime when I didn’t need to be somewhere, and because I like going to see one-woman shows and seeing how other people do it. I also liked the promo image. I find Bewley’s Cafe Theatre a bit of an odd venue. It’s so small and they leave all the tables out even when they aren’t serving food, and the last couple of times I’ve been there it’s been weirdly empty. It’s not a theatre I feel particularly comfortable in but I did enjoy the performance. It was a simple enough piece of theatre but very well performed by Maggie Cronin who had to compete with the buskers on Grafton Street and did so fantastically! She definitely held her own and held my attention throughout the play. I liked the set and the change it underwent through the play. It did reenforce something about my own taste in theatre – I like shows more when the actors acknowledge the audience and the fact that they are performing in front of other people. Maybe this is why I love Camille’s cabaret and enjoy stand-up so much. Even though Greenstick Boy was delivered straight out to the audience, it was done in such a way that the character was almost talking to themselves or to another off-stage character in that fictional world. So I enjoyed the play and learnt something from it – pretty good for a Saturday afternoon! And that was my Fringe. I had a ticket for Cappuccino Culture on Saturday night but decided to stay in the Project and watch Trilogy again instead. But that show is a whole other post!